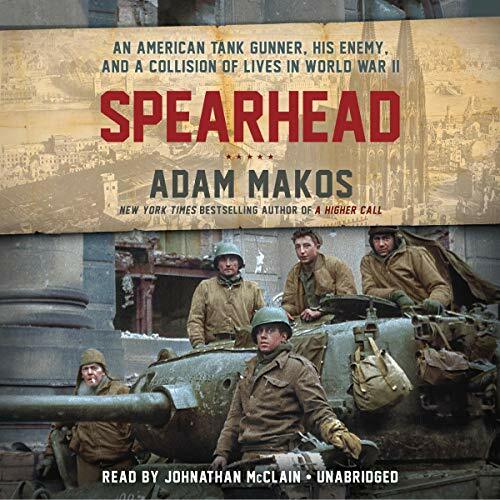 From New York Times best-selling author of A Higher Call comes the riveting World War II story of an American tank gunner’s journey into the heart of the Third Reich, where he will meet destiny in an iconic armor duel - and forge an enduring bond with his enemy. At first, Clarence and his fellow crews in the legendary 3rd Armored Division - “Spearhead” - thought their tanks were invincible. Then they met the German Panther, with a gun so murderous it could shoot through one Sherman and into the next. Soon a pattern emerged: The lead tank always gets hit. After Clarence sees his friends cut down breaching the West Wall and holding the line in the Battle of the Bulge, he and his crew are given a weapon with the power to avenge their fallen brothers: the Pershing, a state-of-the-art “super tank”, one of 20 in the European theater.